Beautiful orchid blooms are the focal point of this simple, yet elegant design. 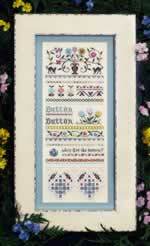 The design is stitched on 14 count beige Aida printed with a soft background. 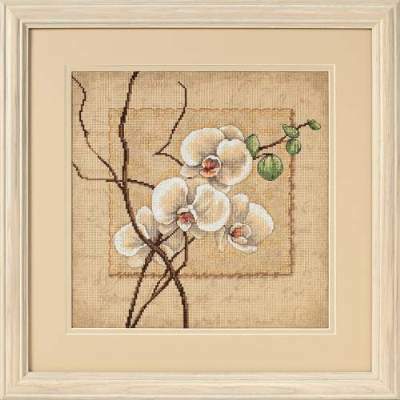 The center square behind the orchid blooms features gold metallic thread. Full kit from Dimensions includes fabric, threads, needle, chart and instructions. Finished size is 12" square. Designed by Lee Carlson.